I wrote the first version of the article about long distance relationship gifts years ago when Amazon was in its teenage years still aspiring to take over the world, and online shopping was a novelty in some countries. Do not smirk my first-world friends, there are still places on this planet where a convenience, or a curse depending on opinion, of the internet economy is not a case yet. The Holiday season is upon us again. Hence, for the past month, I was inundated with an endless barrage of articles, emails, and blog posts about the best long-distance gifts for people in my life, pets, travelers, couch potatoes, aspiring Olympians, backpackers, and retired millionaires. Get my drift? I feel pretty annoyed, to put it mildly. Gift chaser procrastinator as I am, I started looking for holiday presents way late into the game. Between my own long-distance gifts hunting notes below and an avalanche of recommendations dumped on me the courtesy of digital revolution, it was supposed to be a relatively quick task. Way past midnight, I was nowhere close to the finish and more frustrated than ever. The reason? Have you noticed how we, as the 21st century’s consumerism-poisoned society, tend to gravitate to clatter our habitats with more and more err… stuff? 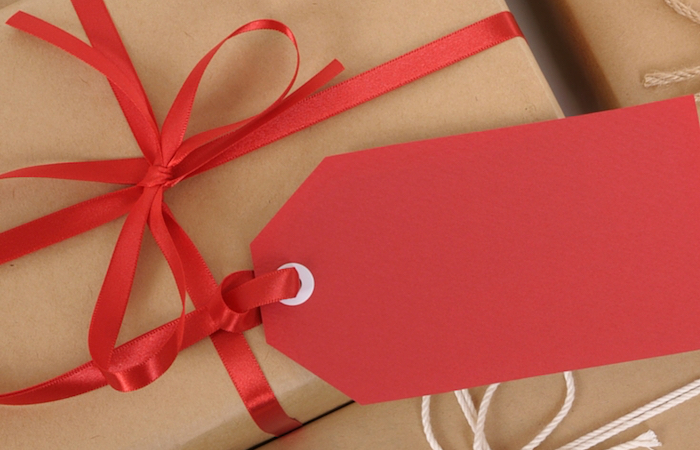 99% of gift-scoring suggestions I went through were about another thing, as a material entity. As amazing as they could be, a new backpack, a heat-resistant shirt or whatever gadget du jour is on the menu this year would fill more space in a closet, an attic or a garage. My minimalistic frame of mind finally rebelled. I do not want to push my lifestyle on others, but I can’t participate in this materialistic extravaganza either. So… what’s the solution? Luckily, there are a few lurking in the farther corners of the digital world. 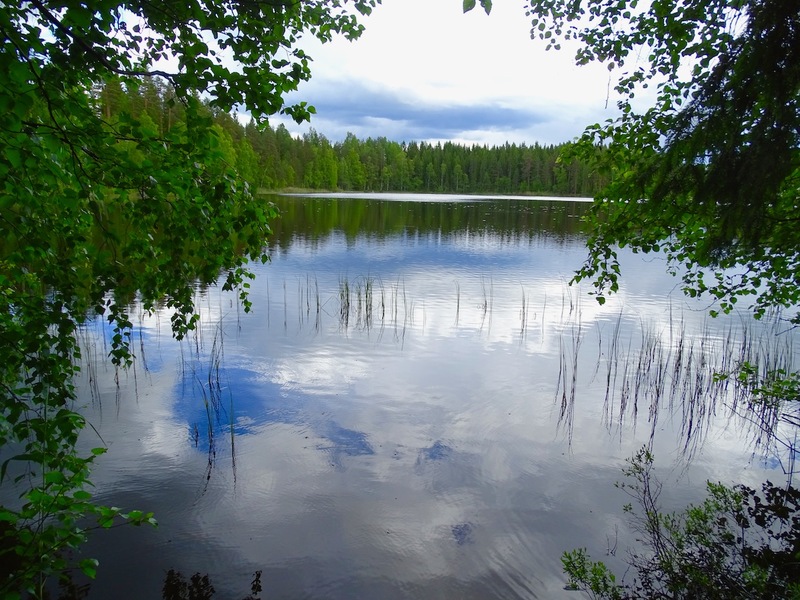 Helsinki Foundation – to quote their website “The best gift for the person who has everything (or doesn’t want everything).” I do not know about this, but I can tell you becoming a Guardian of a piece of the nature preserve in Finland or Tasmania feels darn good. Think about it from this point of view: you can make a difference and show that you care about the future of our troubled planet without millions to spend. Show You Care: Give an Inspired Gift This Holiday (UNICEF) – send vital supplies to children in the name of your friends and family. Alternatively, you can send a gift card . According to the UNICEF website, when you give a their gift card, your family and friends will select from great handcrafted products. Your purchase will be helping support the talented artisans and helping UNICEF save and protect children. Masterclass – a gift of learning. Give a gift that helps them grow with online classes taught by the world’s best. Grounds & Hounds Coffee Co. – every pound saves a hound – by purchasing their fair trade organic, specialty coffees you would support the no-kill rescue organizations providing safe-havens for pups between homes. 20% of all Grounds & Hounds profits are donated to their rescue partners. Novica – an online, fair-trade marketplace. It features limited edition and one-of-a-kind handmade works of art, ranging from artisan-crafted jewelry to handmade apparel to world-style home decor. The Little Market – a social enterprise, combining business and social justice. All goods they sell are made by artisans in need, including refugees, people with disabilities, survivors of trafficking and domestic violence. TOMS – when they sell a pair of shoes, a new pair of shoes is given to an impoverished child, when they sell eyewear, part of the profit is used to save or restore eyesight for people in developing countries. Vivid Roots – sells hats, shirts, and fabric bags. With every purchase they donate 20% off gross profits to implementing sustainable clean water systems in developing countries. The Chef and The Dish – the 21st century gift for foodies. Skype a chef into your kitchen. Know other great resources not listed here? Would you share with me? Thanks! I am keeping the original text for three reasons. 1) I kinda like the tone and the sentiment; 2) it became an unintentional chronicle of now-forgotten challenges of our less-connected existence and the relentless rise of Amazon; 3) amazingly, all stores mentioned below are still in business. If you travel, I bet at least once you found yourself in this situation. Christmas or your best friend’s birthday is just around the corner, but you are thousands of miles away panicking about gifts. This pesky issue could cause you not only a minor headache but, potentially, put a significant dent in your budget. 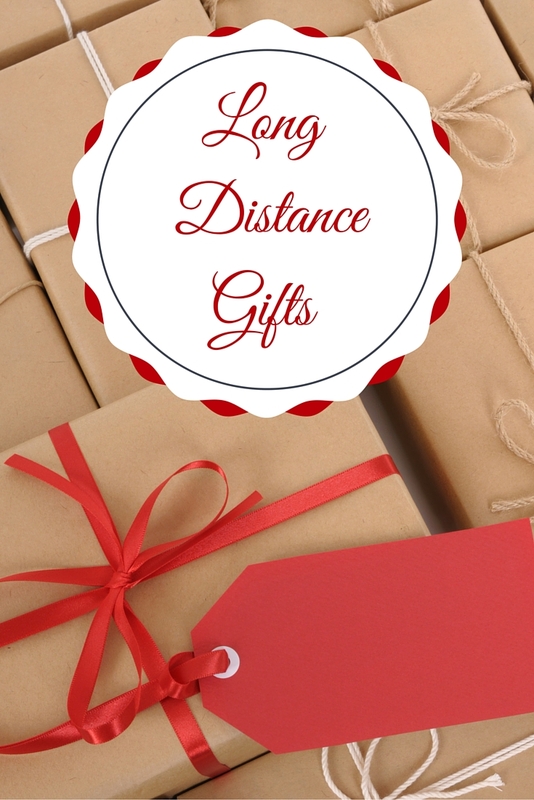 Are you looking for a striking long-distance gift? Hence, the internet comes to the rescue: you buy a long-distance gift online and ship it to an unsuspecting recipient. Nice and easy. There is only one glitch: where to buy? The most obvious and frequently recommended choice is Amazon. Unfortunately, there are couple pitfalls. Looking for something surprising? Exciting? It’s a gift after all, right? Well, Amazon is a titan of online shopping. Do not get me wrong, sometimes, a blender or a pair of socks make a great gift. As for uncommon one-of-a-kind things, you better look somewhere else. There is another tiny wrinkle pointed out by our reader. Despite popular belief, Amazon is not omnipresent. There are countries where it still does not work. BTW, congratulations Australia – you are no longer amazon-less. To be fair, books are still Amazon’s strong point. There are some rare, out-of-print, hard-to-find books that I could not find anywhere else. Yes, I would recommend Amazon if you are looking for a book. If I am not after books, haven’t received a Christmas list(s) or do not have a clear indication that, let’s say, a vacuum cleaner [replace with whatever “serious” device might catch your fancy] is a matter of life and death, I need an inspiration. To a certain extent, online shopping is still a gamble. Some trial and error ensued, and, voilá, I came up with a list of online stores that meet my expectations. Here are my favorites. Etsy – the global marketplace for unique and creative goods. Shop directly from people around the world. Handmade or vintage items, supplies, as well as unique factory-manufactured items. Fab – a design-focused company, dedicated to helping discover fun and unique products. Garrafeira Nacional – with more than eight decades of trade history, this family-run store has been supplying exclusive fine wines and spirits. They ship to almost any location in the world. Guilt – Gilt became famous for its exciting daily flash sales. There is something new every day for women, men, kids and the home as well as exclusive services and experiences and luxury travel. You’ll always find an impressive selection of top designers, emerging brands, exclusive styles and wow experiences. Gilt ships to over 100 countries. HauteLook – acquired by Nordstrom in 2011, HauteLook is a members-only shopping website offering limited-time sale events with top fashion and lifestyle brands. igourmet.com – Specialty Cheeses. Fine Foods. Exquisite Gifts. Food lover’s paradise. Currently ships within the US only. Munchery – delivering wholesome prepared dinners from the best chefs in town. Munchery is an online marketplace for consumers to purchase meals directly from local, professional chefs. Check their service areas here (US locations only). NOTE from TB: a great idea and a perfect alternative to “Get well soon” flowers or gifts. Oura – slide on the ring; transform your life. OURA is a revolutionary ring-sized wellness computer that helps you sleep and perform better. Rue La La – Rue La La is the destination for the most desired brands at members–only prices. Each day, they curate boutiques filled with the best of the best in fashion, home accessories, travel, kids stuff, and more. New boutiques open at 11AM ET and stay open for just 48 hours. Rue La La ships outside the US. Shop @ deviantArt – Prints Shop. Their motto: “Absolutely Breathtaking Prints.” Ships to 100 countries. These are great tips for sending gifts while abroad. You’re right that sending a gift from away is so impractical, but there’s no telling that to someone who hasn’t traveled before, am I right? I love etsy and use it all the time, but it was the only one of the list I had heard of! I’m excited to check out some of these new sites just in time for Christmas back home! Thank you, Christopher :). I absolutely agree about the meaning of a unique gift. If you like Etsy, you might want to check Novica too. 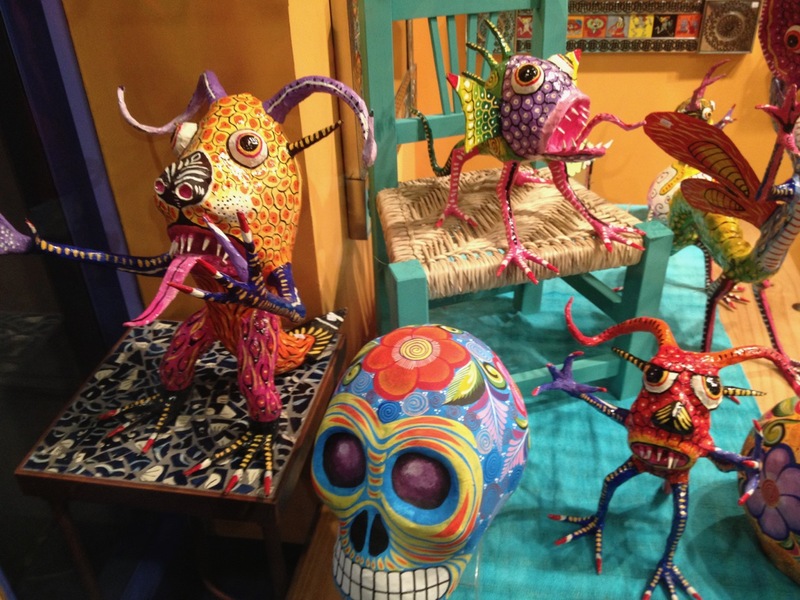 They sell genuinely creative and unique works made by South American and SE Asian crafters. What a nice round up of online gifting alternatives! I have to admit I am a bit of an Amazon addict so when I have a long distance gift to give that always seems to be my first stop. It does mean that the gift is not always as unique as it could be though. Etsy is a great backup option that I have used for those hard-to-find, one-of-a-kind items, but I don’t believe I have ever ordered anything from the rest of these sites. Thank you, Nick :). If you are looking for some uncommon gifts, I would recommend to check Novica. They sell things made by crafters from South America and SE Asia. Many of their pieces are truly unique. Some great shopping sites for holiday shopping. I’m a huge fan of Novica. That’s such a great list, thank you for putting it together. It’s my mother’s birthday next week and after nearly 10 years living abroad, I’m starting to lack imagination for new gift ideas. I’ll browse some of these websites hoping to find the right thing. I almost always buy in the country where my family of friends live, as I am not good at planning in advance and it’s also easier to organise delivery close to the right date! Thank you, Thomas. Sorry to hear about difficulties with online shopping in Switzerland. I understand your pain. Living in the US, I got accustomed to the conveniences of online shopping years ago. Traveling in different countries where it is still unheard of or prohibitively expensive made me realize how lucky Americans are in that regard. I am with you :). Last year, when I came to Australia for the first time, I routinely tried to buy something online. Amazon was an obvious choice. I couldn’t believe that it was not available Down Under. Wow that’s a comprehensive list. It’s a great resource for those living abroad or who are away from family for special occasions. I like to carry small gifts when I travel for friends I meet or strangers who become friends on the way. Have been looking for small items to carry. Guess buying online is a good idea for friends. I love using online sites to send gifts overseas.. Love amazon and Rediff. Need to try some of the other sites listed here. Great post and list! This can definitely be an issue and there’s some great ideas in here. Thanks for sharing. Amazon does give some great offers. So occasionally it is a good idea. But I am yet to get addicted to this online stuff. I might like to experiment this sometime. I live abroad, so finding gifts for friends and family is always a hassle. Especially since I don’t want to pay 3x the price of the gift in shipping. This sounds like a cool idea for me! I loooove shopping on Etsy. I try to do all my gift shopping there. I’d never heard of Rue La La before though, I’ll have to check it out. Oh yes, I have faced this situation quite a few times, especially since I have friends and families all around the world. If I am in India, it isn’t a big deal as the stuff we get locally is fairly reasonable – most of the stuff is branded and hence, make a good gift. If I am abroad, I generally keep a few extra goodies with me, that help make good gifts for people. But this list is interesting. I might just try it out. Hi, Ami. I agree that India and, to the certain extent, South America too are great places to buy gifts. However, a number of times I was put off by shipping prices. So useful! I face this problem every year when I try to figure out what gifts to send home to friends/family! Glad to see that you find it useful. Happy holidays! I use a few of these sites already! Thanks for the tips! Definitely an issue I come across often, though I had never thought about shipping locally directly to them. I always just deliver their presents late after I come home off my current trip!! Thanks for the brilliant tip! I have always been using Amazon, but this is a great list. Thanks for sharing! Excellent suggestions. I have new relations in Brazil and discovered that Amazon doesn’t work there! We figured out a work around. I can only hope to need these tips one day! Hi, Elaine. Sadly, Amazon does not work not only in Brazil. I have friends in different parts of South America and they also mentioned that they can not use Amazon.